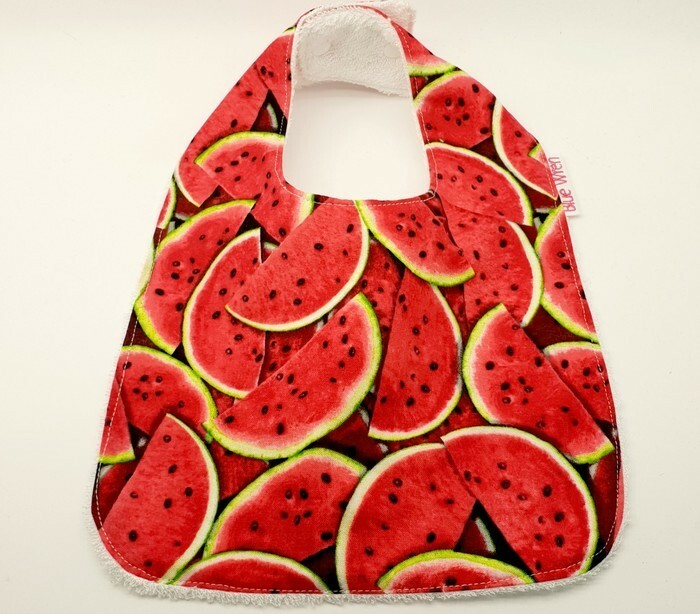 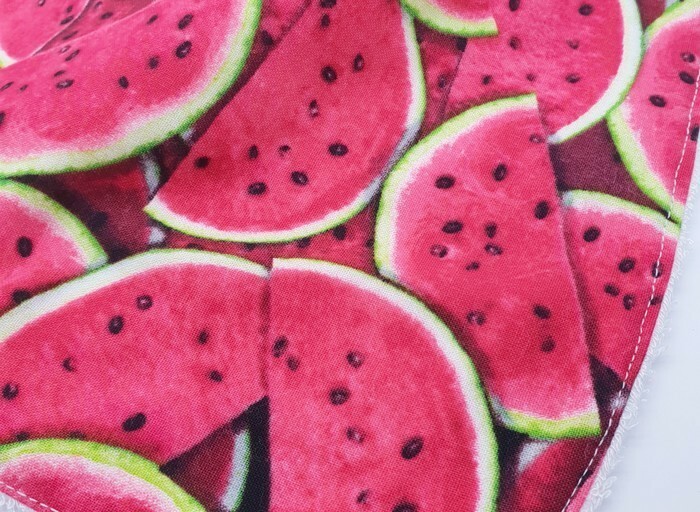 Dribble, Feeder Bib, Watermelon on Cotton Fabric, Bamboo Toweling Snap Fastened. 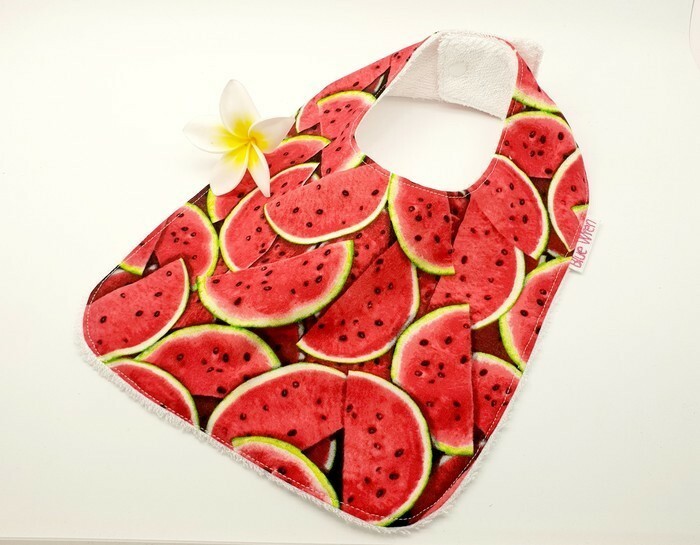 This adorable baby bib is made from 100% cotton fabric, and is backed with white absorbent bamboo toweling, and is just so soft. 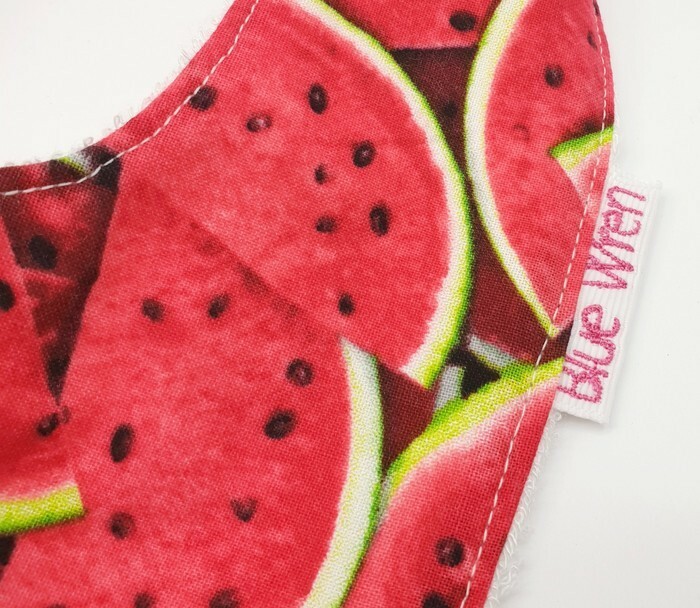 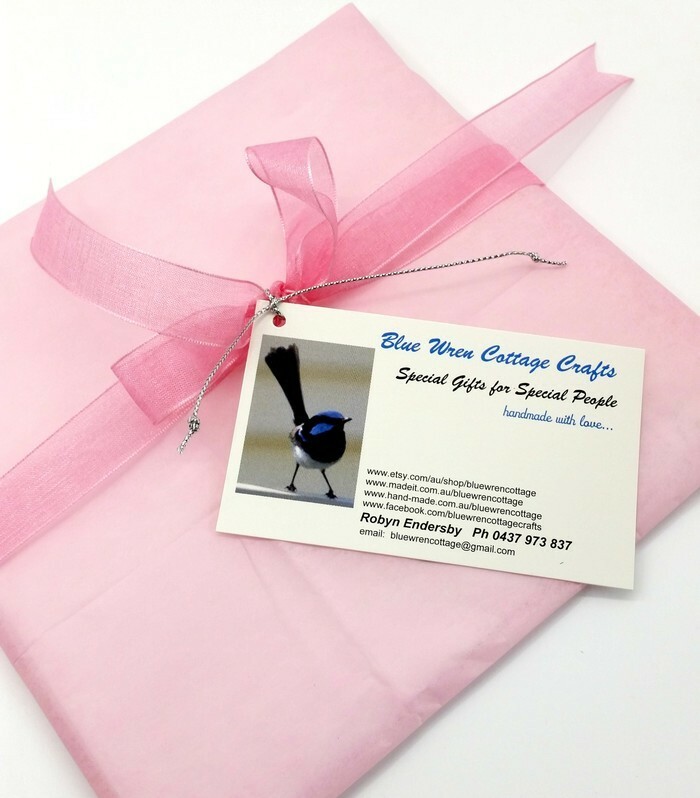 This cute little bib makes a really unique gift, and will be a treat to receive. 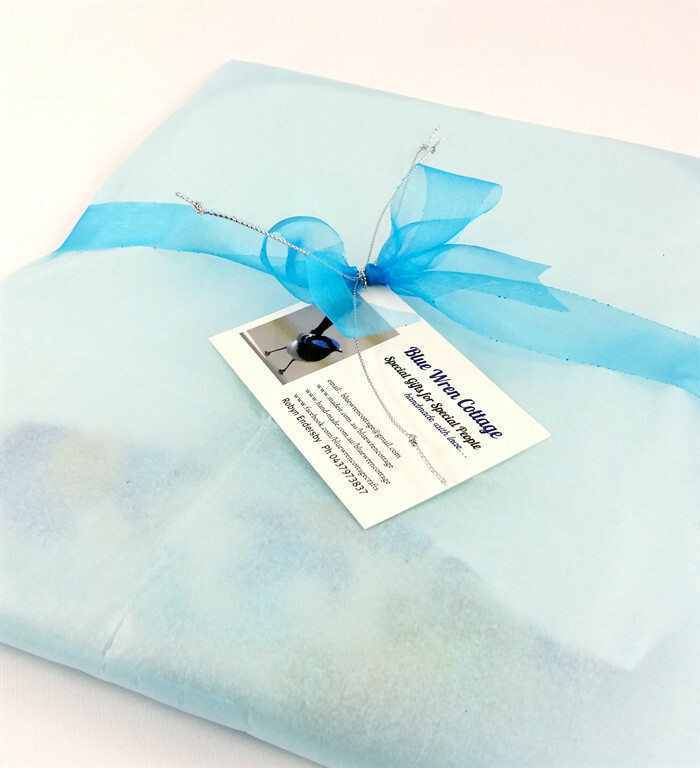 If you would like this bib sent directly to baby's address, please let me know, and I will gift wrap and attach a little gift card with your message, at no extra charge.